After a recent update to Forza Horizon 4, there is a seasonal game where players must complete any event and any Forzath ​​on challenge to make progress during the season and will be marked with gold at the end of the season. After completing the seasonal events, 2 cars will be awarded according to the completion: Ford #25 RTR Mustang and Pontiac GTO. 7.2L naturally aspirated, V8 engine, output power 1000 bhp (746 kW) torque 737lb ft (999 N·m), front engine, rear wheel drive, 4-speed gearbox, car weight 3100 lbs (1406 kg), The weight distribution is 51% / 49%. 6.4L naturally aspirated, V8 engine, output power 360 horsepower (268 kW) torque 424lb ft (575 N·m), front engine, rear wheel drive, 4-speed gearbox, car weight 3468 pounds (1573 kg), The weight distribution is 58% / 42%. 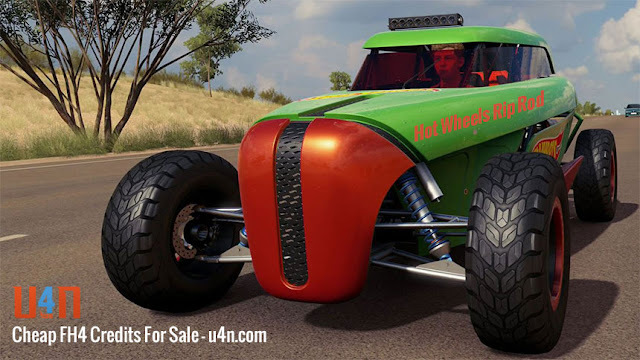 Is Forza Horizon 4 Hot Wheels Rip Rod worth fighting for? Forza Horizon 4 added the Hot Wheels Rip Rod earlier, which is said to be a very popular car. Many players want it very much, but it is locked in the Spring Cross Country Championship PvP mode Drag Race Championship. Although most players don't like the PVP mode, in order to get it, it only takes a lot of time and try to try. The Rip Rod is a mid-engine rear-wheel drive. The 1 liter turbocharged 3-cylinder Ford EcoBoost Fox engine delivers 205 hp (153 kW) and 206 ft. lb (280 N•m) with a weight of 1874 lb (850 kg), 8 The gearbox accelerates from 0 to 60 mph (97 km/h), takes 8.1 seconds, and has a top speed of 138 mph (222 km/h). It can be changed to 201 mph using Speed ​​Boosts and Loop-the-Loops. Hours (323 km / h). Unlike most cars, it is a single-seater. Is the new playlist for Forza Horizon 4 a chore for the player? Forza Horizon 4 is an open world racing video game developed by Playground Games. The game takes place in a fictional English country town. It is praised by many players for its freedom and openness, but in the recent period, players The response to FH 4 is somewhat special. As the game continues to update, some players find that the FH 4 gradually deviates from the original intention, which makes some players very uncomfortable. After the new round of playlist update, FH 4 adds the task broadcast function, every once in a while. The play column will play some tasks to let the player complete, of course, there will be a corresponding reward after completing the task. You can choose to accept or not, if you want to get rewards, you can only do it according to the requirements of the system. Forza Horizon 4 is a very popular racing game, with realistic graphics, changing seasons, and exciting games that are not only loved by old players, but also attract new players. Unlike the old players' familiarity with the game, the new players are not only curious at the beginning, but also some at a loss, trying to try anything new, but don't know if it is right or wrong. But it doesn't matter, this article is to list some good suggestions, to give newcomers a reference, so that they can enter the game faster. Influence and CR are two different integration modes in Forza Horizon 4, and influence is experience. To gain more privilege by winning the game or doing some cool things (such as destroying the bonus board), you can refer to our previous article - How to get the impact quickly. Forza Horizon 4 How do I get Zenvo St1? Forza Horizon 4 is a large multiplayer online racing game that includes 450 cars and is by far the most popular racing game. 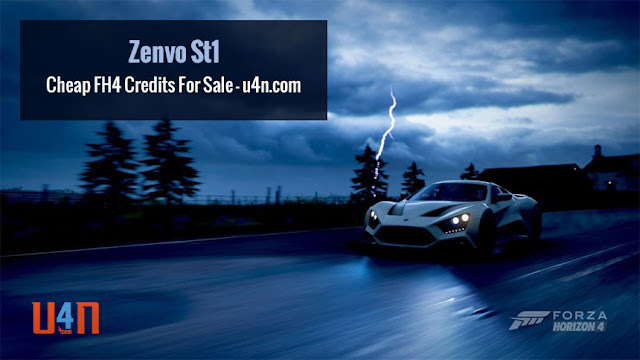 There are some super sports cars in the game that are popular with everyone, such as Zenvo St1. Many players like it and want to have it, but because they don't know how to get Zenvo St1, they have to give up. Today we will share Zenvo St1 with you. How was it obtained? The ST1 was designed by the Danish car manufacturer Zenvo and only 15 were built. It features a unique 6.8-liter (6,800 ml) dual-boost (boost and turbocharged) V8 engine with a power output of 1086 hp (810 kW) at 6,900 rpm and an equally high torque output of 1055 ft. 1430 N·m), 4,500 rpm. It completes 0-60 mph (97 km/h) in 3 seconds, 0-100 mph (161 km/h) in 5.3 seconds, and a top speed of 235 mph (378 km/h) . Do you want to close ABS when playing in Forza Horizon 4? Forza Horizon 4 is a professional racing video game that is licensed by more than 100 car manufacturers and contains more than 450 vehicles. Whether it is a classic old vehicle or a modern fast car, you can get it through different channels they. The performance of the cars in Forza Horizon 4 is infinitely close to the real-life vehicles. Not only the manual and automatic transmissions, but also the ABS system, some players who drive often are no strangers to the ABS system. ABS systems pulse your brakes for you to prevent lock up. If you have a car in your driveway with ABS you can go for a drive and slam on your brakes and might feel it depending on the car; feels like a shutter in the brake In essence the brakes are going on-off-on-off-on-off. Is the Dodge Demon in Forza Horizon 4 really so good? 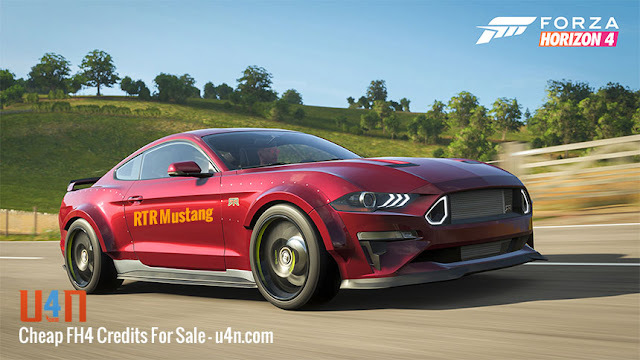 There are actually a wide number of vehicles in the Forza Horizon 4, which have distinctive functions, some for road races and some for off-road championships, the majority of which could be purchased in the shop, but you can find also some automobiles. Unable to obtain by way of the retailer, it demands you to complete a series of tasks to reward you, plus the Dodge Devil is a single of them. The Dodge Challenger The SRT Demon is a muscle car in the Forza Horizon 4 and is known as one of the fastest cars. Powered by Hellcat's upgraded 6.2-liter Hemi V8 engine, it features a 2.7-liter supercharger that produces 14.5 psi (0.99 bar) of boost. To deliver enough air to the engine, the Demon is equipped with the world's largest feature cover. The bucket can inhale 1,150 cubic feet of air per minute, another record for producing cars.